Inspired by the classic arts and crafts tile makers of a century ago (Rookwood, Pewabic, Hunter), the Motawi Tileworks creates original artwork that respects the artistic achievements of past masters. This set of 20 cards (5 each of 4 designs) with envelopes, is carefully reproduced to give a taste of the detail in the designs. 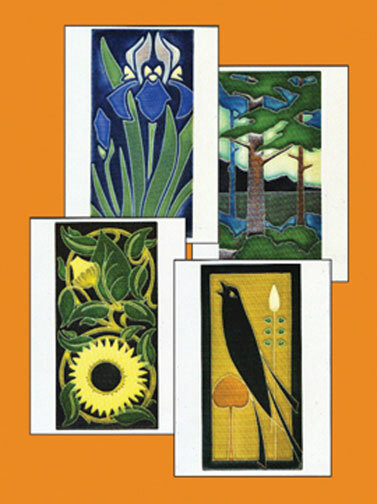 Each 5” X 7” blank note card is lovely enough to frame, but do use them to send messages with style.